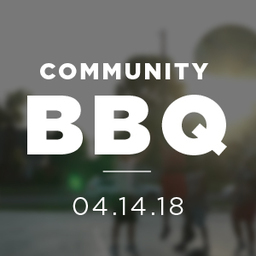 On Saturday April 14th, 2018 Holy Spirit Episcopal Church will host a community barbecue for families of inmates at the McLennan County Jail on Highway Six. Holy Spirit Episcopal Church is a community of people who want to remember and serve those who have been overlooked and forgotten. And few people in our city have as many invisible struggles and challenges as those who have loved ones in our jails and prisons. Holy Spirit Episcopal Church wants to extend our hospitality and our help to such individuals, by providing them a meal of excellent barbecue while they wait to speak with their loved ones. Because such individuals don't necessarily have time for an extra event, the McLennan County Sherriff's Department has given us permission to host the BBQ at the jail's visitor's center. Our aim is to provide rides for those without, and to invite social service agencies to make their resources available as individuals wait. We are also inviting members of the Waco Police Department and McLennan County's Sheriff Department to serve the meal with us. While the work of policing is a just and necessary means of keeping our community safe, it is also a work that risks engendering enmity. Our hope is that this meal provides an opportunity for our city to remember our common citizenship, and to recognize that the end of police work is peace and not division. We don't know how many people will respond to our invitation, but we have budgeted for some 1000 meals. Any and all contributions above our needs will be used exclusively for the same work in future years. This is a unique opportunity to bring together two constituencies at risk of having enmity toward each other around a shared love (great food). We hope you will contribute generously toward the effort, whether by serving in person (if you live in Waco) or by supporting us financially. We also hope that you will prayerfully consider replicating such an effort in your own community. If this effort is successful, I will gladly offer my time and advice to any individuals who aim to do likewise in their own towns and cities. We are called to become and share the good news of Jesus Christ.